“What a fantastic response to the country’s inaugural Thailand Yacht Show in Phuket,” enthused Gordon Fernandes and co-owner JoJo of Asia Pacific Superyachts following the first-time event held at the Ao Po Marina in Phuket February 10th - 14th. APS Phuket & Myanmar exhibited at the premier Yacht Show and Gordon Fernandes was a panelist at the Thailand Yachting Forum on 10th February at the Indigo Pearl Hotel in Phuket. Other panel titles of the afternoon included ‘Thailand Marina Hub of ASEAN’ and ‘Superyacht Charter Industry in Thailand’. 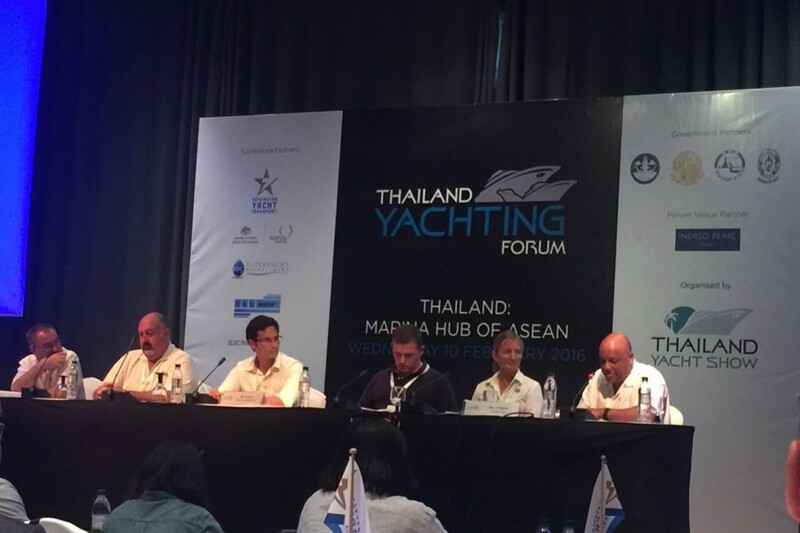 A hot topic was the discussion on the status of the superyacht charter licences between government officials and members of the marine industry, facilitated by the Thailand Yacht Show at the Yachting Forum. Though the regulations and rules with regards to the actual superyacht charter licence were hammered out on August 10, 2015 - a number of related issues remain as hurdles for superyacht owners, explained Somchai Sumanuskajonkul, deputy director-general for the Thailand Marine Department. “The immigration issues are awaiting final approval by the Immigration Bureau commissioner while the VAT exception needs to be enacted by royal decree”, Mr. Somchai said. Gordon Fernandes and his APS team work closely with arriving superyacht clients from throughout the world and have been instrumental in bringing more Superyachts to Phuket’s shores. “Many of our clients base in Phuket and enjoy cruising throughout the Andaman waters with some continuing on to Myanmar and the Mergui Archipelago. Superyacht captains and owners have a great deal of interest in these issues, as evidenced at the Yacht Show and the many questions asking when the changing crew visa and VAT tax regulations will be finalised. Working closely with the government we are able to keep our clients advised of the most up to date news so they can plan accordingly”, Gordon stated. The inaugural Thailand Yacht Show gave every indication of a very successful event with show management reporting, “Boats on the docks. Visitors on the pontoons. Cold beer and cider. Panama hats. Parasails. Charter Brokers and Dealers. Sunshine and shade (when you need it). Today at the Thailand Yacht Show (TYS) it was very much ‘business as usual’ with dealers and brokers unanimously expressing satisfaction with the way the event is unfolding”.